Lock in a great price for Tenahead Mountain Lodge – rated 9.6 by recent guests! The views from the room and rest of hotel were fantastic. It is lake a haven in the mountains. Staff were charming and really helpful. Lovely atmosphere. The food was excellent, the staff delightful, the location remote and beautiful - difficult to reach, but worth the effort. A gem in the middle of nowhere with beautiful views of the mountains and stream. Spacious and very comfortable rooms. Very friendly and helpful staff. Most definitely worth a visit. The service, the food and the overall experience was amazing!! A fantastic Lodge in an absolutely beautiful location. Staff are EXCELLENT, the best that we have ever experienced. Food is outstanding. Rooms are extremely comfortable and spotless with breath-taking views. The best location in RSA. Need 4x4 to get there and that is good. Tenahead Mountain Lodge This rating is a reflection of how the property compares to the industry standard when it comes to price, facilities and services available. It's based on a self-evaluation by the property. Use this rating to help choose your stay! 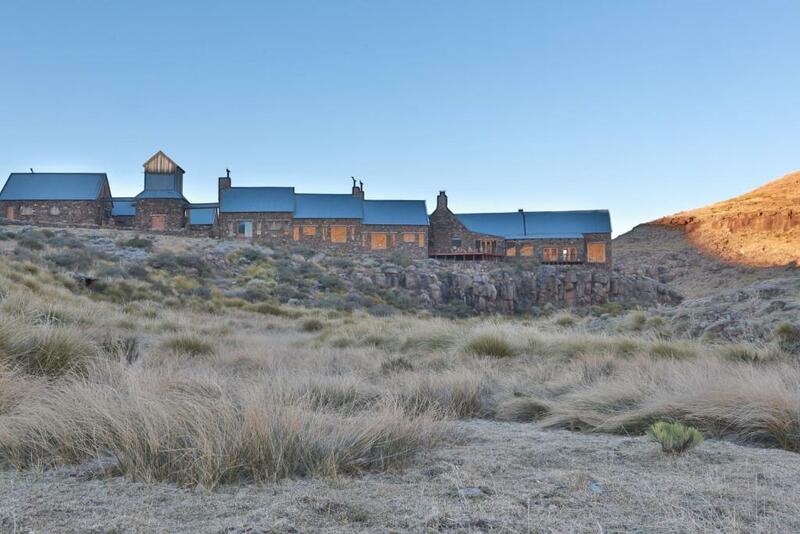 Tenahead Mountain Lodge is perched in the tranquil mountain town of Rhodes, the lodge offers panoramic views of the Drakensberg, Witteberg and Maluti Mountains meet. It provides luxurious rooms that feature open fireplaces. Rooms at Tenahead Mountain Lodge enjoy stylish furnishings and modern decor. Bathrooms feature twin washbasins and a separate claw-foot bath. Panoramic mountain views can be enjoyed from the double-glazed windows. Breakfast is served each morning at Tenahead Lodge. All meals are served in the dining area and there is a well-stocked wine cellar featuring some of South Africa’s best wines. The property is reached via the Naudes Nek mountain pass. 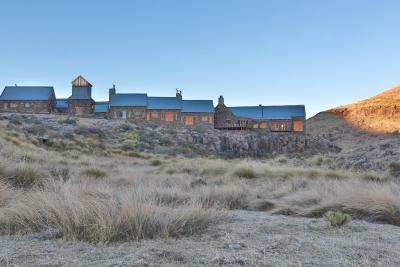 Lodge Tenahead features a library boasting over 2000 books and a spa and wellness center for relaxation and well-being. A range of outdoor activities are also offered including fishing, hiking and horse riding. When would you like to stay at Tenahead Mountain Lodge? This twin/double room features a satellite TV, seating area and DVD player. WiFi is available in public areas and costs ZAR 80 per 24 hours. House Rules Tenahead Mountain Lodge takes special requests – add in the next step! Tenahead Mountain Lodge accepts these cards and reserves the right to temporarily hold an amount prior to arrival. A high clearance or 4x4 vehicle is required to get to Tenahead Mountain Lodge. The property advises that guests make sure to fill up their fuel tank before they get to Rhodes. Roads to get there, you need a real 4x4 or a helicopter to get there. Please buy new sheets! The sheets are very old and thin- really need replacing. If there was filter coffee in the rooms it would have been nicer. I booked 1 room (we are a couple), but through booking with Booking.com we were charged for 2 rooms, which was deducted before we arrived. I found it impossible to reach Booking.com to rectify this very expensive mistake on their part.